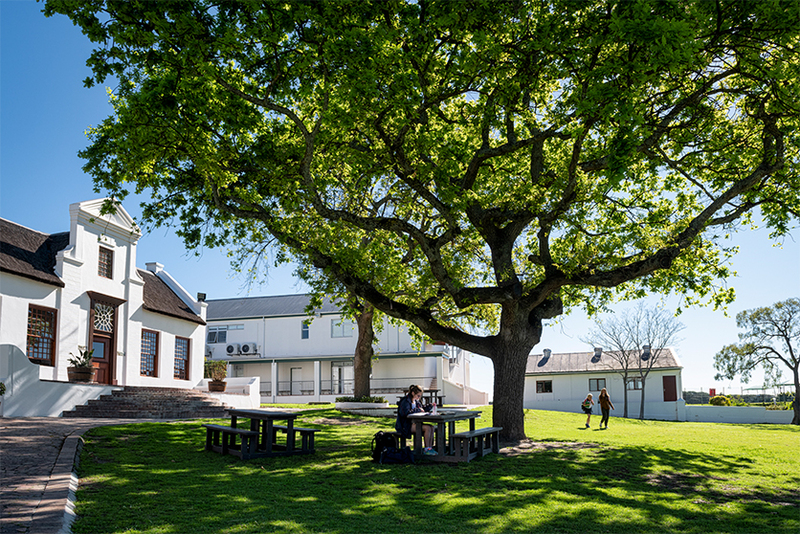 Founded in 1997, Somerset College is an independent, co-educational school situated on a beautiful estate in the Winelands of the Western Cape. The College offers schooling from Grade 000 (age 4) to Matric, as well as Cambridge A-levels. Boarding is available for students in the Senior School. As a school with a Christian foundation, the staff and students work in an environment based on strong values, spiritual development and a commitment to community service – all of which play a fundamental role in the development of responsible, caring individuals. At Somerset College, there is a keen focus on educating the whole child. Academics, Sport, Cultural Activities, Leadership and Spiritual Development, Environmental and Outdoor Programmes ensure that every student can flourish and explore individual talent in any number of spheres. The Senior School is affiliated to the Independent Examinations Board (IEB) and the Cambridge International Examinations (CIE). Somerset College strives to remain a centre of academic excellence where professional standards are maintained and where young people learn in a safe and happy environment which allows them to flourish. At Somerset College we endeavour to provide a nurturing and stimulating environment where young people are guided by teachers of calibre to develop self-awareness and positive relationships. We endeavour to provide each child with the opportunity to acquire the knowledge and skills to equip them to adapt and flourish in an ever-changing world. We hope that our school community will always contribute to their world with dignity. provides an educational asset which serves the wider community. At Somerset College we aim to produce critical, creative and collaborative thinkers through modern educational practices and the prioritisation of innovation. Our task is to equip our students to meet the challenges of a rapidly changing world by championing independent and imaginative thought, while fostering real engagement with the challenges faced by our students, our community and our country. The core value of dignity undergirds our thinking, learning and growing. At Somerset College, through aspiration and creativity, we challenge our lives, our work and our play to have a higher purpose. Here, challenge is not something to fear or avoid; it provides the most valuable opportunity for our students to take ownership of their education and to make the most of the extraordinary possibilities of their years at Somerset College. Here, we challenge our students to realise their full capacity to contribute to a better future for all. With dignity as our source and contribution as our purpose, Somerset College students are equipped to challenge first themselves and then the issues of the world around them. At Somerset College, from Grade 000 to Grade 12, change is an intrinsic feature of relevant education. As they enter our school, each student embarks on their own journey of personal growth and development of individual excellence. But there is also the powerful change experienced through Somerset College’s wider innovative educational initiatives, social programmes and entrepreneurial projects that aim to equip our students to be global citizens that contribute to changing the world for better, for all.